June 17-28, 2019 (M-Th, 8am-6pm with 1 hour for lunch)* Friday 8am-12pm. 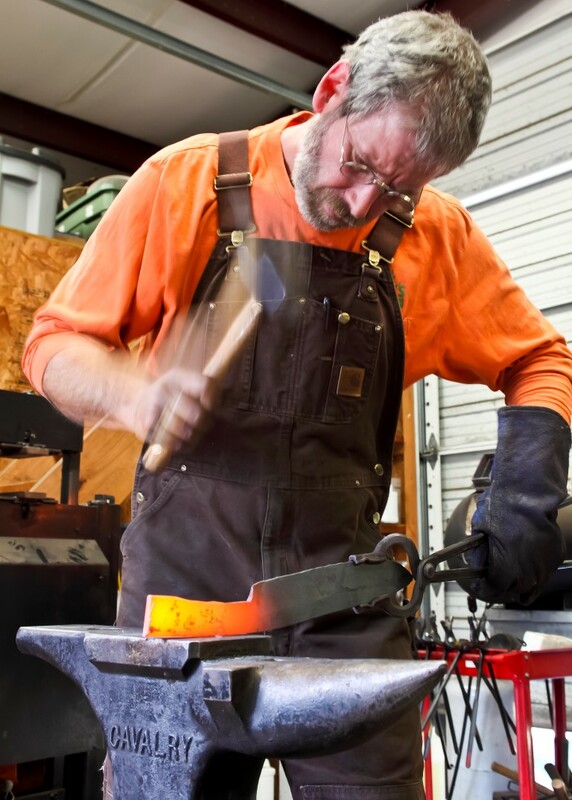 The Virginia Institute of Blacksmithing is proud to host the American Bladesmith Society‘s Introduction to Bladesmithing course. This is two week, comprehensive course is a standardized curriculum that is suitable for the novice to the more experienced bladesmith. Successful completion of this course will shorten the time required for a student bladesmith to test for Journeyman or Master status. See ABS for more details. If you are interested in becoming an Apprentice or Journeyman bladesmith, see the American Bladesmith Society‘s webpage for membership information. Class will be from 8am – 5pm, M-F, with a 1-hour break for lunch. The shop will not be available to bladesmithing students on the weekend nor after hours.